If you’ve read Sun Valley Moon Mountains, you know that my main characters, Jaq and Kate, were anglers. They especially loved fishing the Lost River in Mackay, Idaho. It was on the Lost that they caught a ‘Fantastical Fish’ in a rain of tears and blood. Well, since they were modeled on my wife, Linda, and me, it should come as no surprise that we love both the Lost and all of the water around Sun Valley. 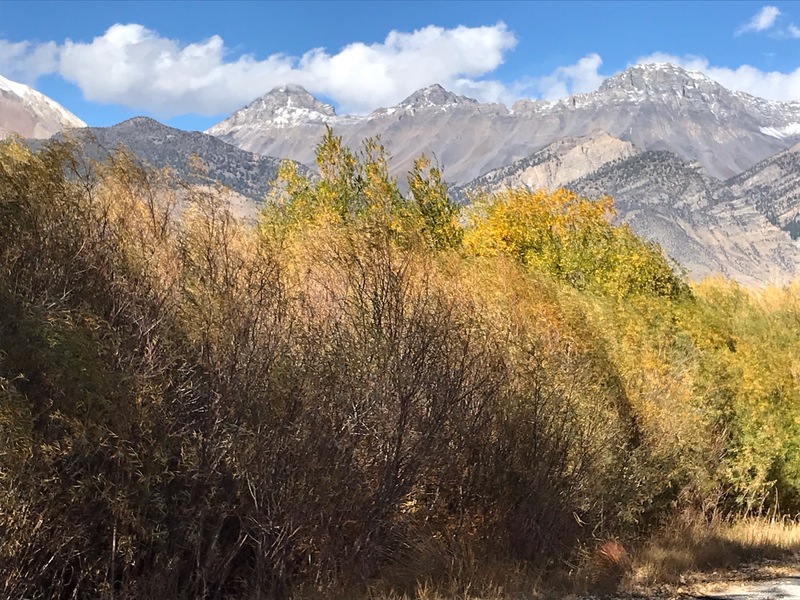 Jaq and Kate went fishing in December, when ice had formed along the river’s banks like ribbon candy, the cottonwoods were black and bare and the Big Lost Mountains, rising a mile up and out of the river valley, were dusted with snow. We have fished Sun Valley in the winter when it’s snowy and COLD! But our preferred time of year has always been the early Fall. The cottonwoods and aspens flash bright gold and if lucky, aspens might even come in shades of orange and an almost fluorescent pink. They pulse in the afterglow of sunset. 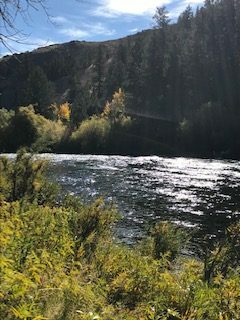 So last week we hit Idaho and went on the river for four days with our friend Scot Schnebly, who is also owner of Lost River Outfitters and the best damned fisherman on the planet, in my humble opinion. Actually, we fished not only the Lost, but the lower Big Wood, a freestone stream that runs right through Ketchum and all the way south to Magic Reservoir. At one time, I’m told, Magic was the biggest earth dam in the world. And we also fished the Little Wood in the desert. It is a lovely stream that cuts through sagebrush and lava rock, near Craters of the Moon national monument. Not only is the foliage mind ripping in the Fall, but the water level is lower, or ‘skinnier’ as we say. This has pluses and minuses. It is easier to wade and to access fish in their holding areas, where the water is deeper and slower. However, it is also clearer because of reduced flow and the fish are ‘spooked’ much more easily. If you can see them, chances are they can see you unless you are VERY cautious in your approach. This makes angling more challenging but also more rewarding. Check this photo of the Lower Lost below the dam. 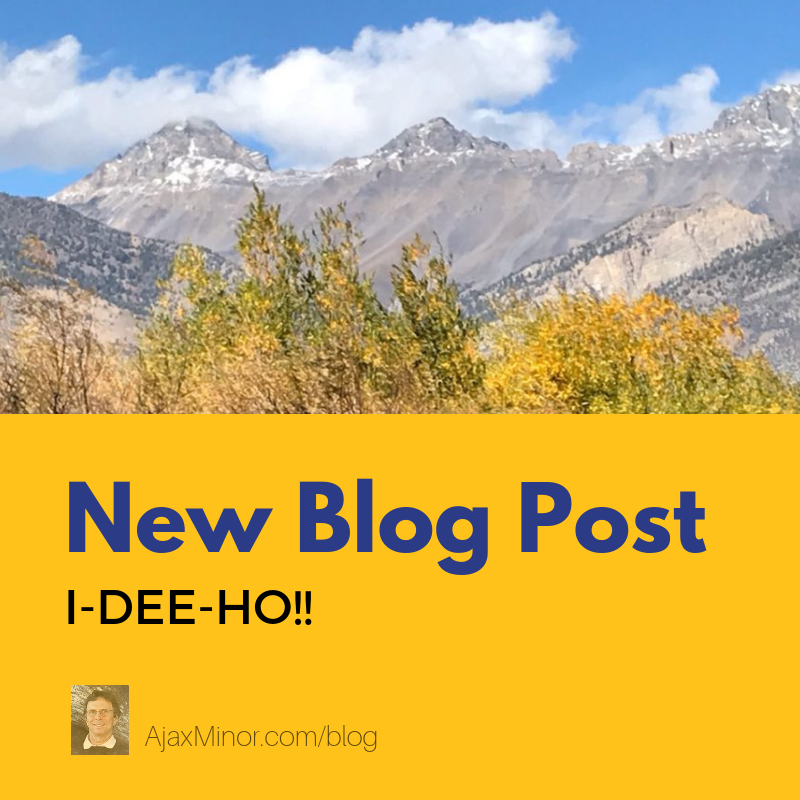 Next week we’ll talk more about flyfishing and this week will be posting some more photos of I-de-ho!